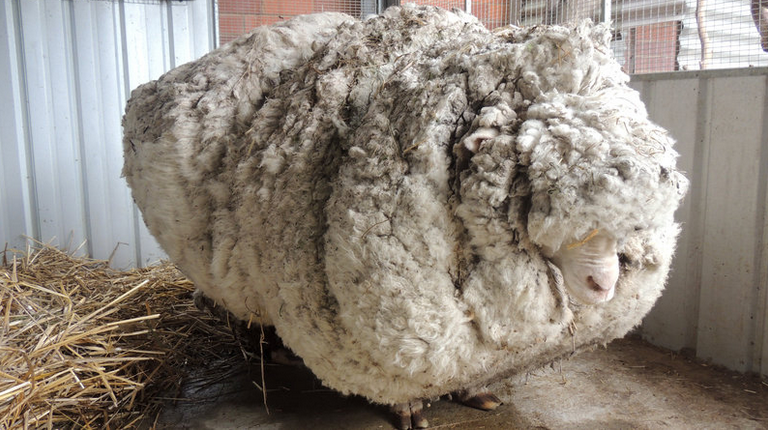 Did you know that if a sheep isn't sheered, the coat will just keep growing and growing and GROWING? We didn't either! Perhaps that's because we don't often think of sheep - but still - fascinating stuff! 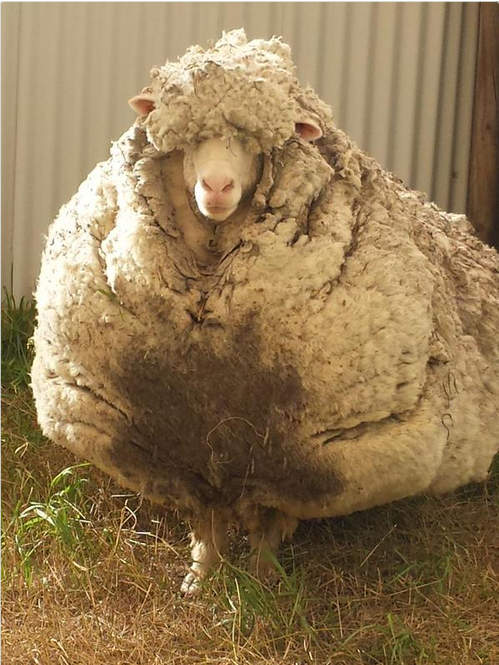 Chris the sheep wandered away from his herd, getting lost for quite some time. This oversized animal would pop-up every now and again, but refused to be caught - until recently. Our wooly friend from Australia is now safe and sound - AND set a new world record sheering off close to NINETY POUNDS of wool!